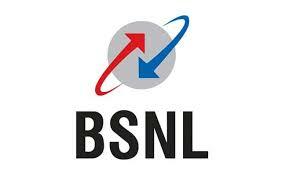 BSNL has reportedly now launched a new Rs. 899 prepaid recharge with a validity of 180 days. The new recharge is said to have been launched in select circles, and offer 1.5GB data per day. This amounts to 270GB of total data during the validity period. The Rs. 899 pack joins the already existing Rs. 999 recharge that offers similar 181 days of validity, and 1.5GB data per day validity. This plan is more widely available across India, while the Rs. 899 pack is reportedly only available in Telangana and Andhra Pradesh circle. The new BSNL Rs. 899 pack is said to offer 1.5GB data per day, unlimited voice calls (except Mumbai and Delhi circles), and 50 SMS per day for a validity of 180 days. Telecom Talk reports that this half yearly plan has been launched only in Andhra Pradesh and Telangana circle as of now. It doesn't offer unlimited voice calling in Mumbai and Delhi circles, and will charge users standard tariff rates. As mentioned, this new plan joins the Rs. 999 prepaid recharge that offers 1.5GB data per day, 100 SMS per day, and unlimited voice calling benefit including Mumbai and Delhi circles. The validity of this plan is also half-yearly i.e. 181 days. As part of the recently announced Additional Talk Time offer, the Rs 999 plan is reportedly currently providing 3.21GB data per day for 181 days. Reliance Jio also offers a half yearly validity pack at Rs. 1,999, but it only offer 125GB of total data to its subscriber. However, it offers true unlimited voice calling benefits, complimentary Jio apps subscription, and 100 SMS per day for 180 days of validity.